Have you ever thought about what life was like in the deep South during the civil rights era of the 1960s? 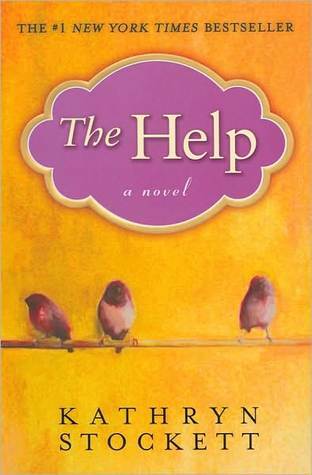 “The Help” will give you a taste of daily living for black maids working in white homes: cleaning, cooking, ironing and caring for their employers’ children until they are old enough to tell their “colored domestics” what to do. After completing the project with the white writer, Aibileen remarks that “We done something brave and good here.” That line sums up what these characters did and the outcome. It could have been the title of this book which we recommend without hesitation to our readers. Enjoy and learn from this thoughtful story. This was the first time I had seen The Help’ and I really eenjyod. It caught my emotions many times throughout the film. I thought that it was terribly sad how the help were treated. The one maid who wanted to send her two boys off to school and went to jail for stealing the ring to get the money was very sad. I can’t imagine being a mother and not being able to provide for my children. The movie also had humor added into it which made it enjoyable and believable. The help but up with the women because they had to, but when they started talking to Skeeter they had a whole lot to tell about what all they had to put up with. The movie was very empowering and it gave women a whole new strength to stand out and to be individuals. Skeeter finally found a guy who loved her and when he found out that she wrote The Help’ he left. Skeeter was very strong when she continued to write and tell the maids stories after what everyone had done to her.